The Dallas Stars have come to an agreement with one of their restricted free agents, announcing a one-year $875K contract with forward Jason Dickinson. 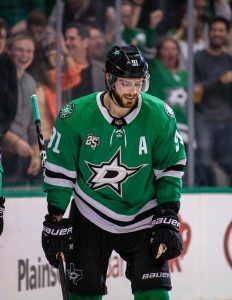 Dickinson was not eligible for salary arbitration, but didn’t need a very long negotiation anyway to come to some common ground with the Stars. 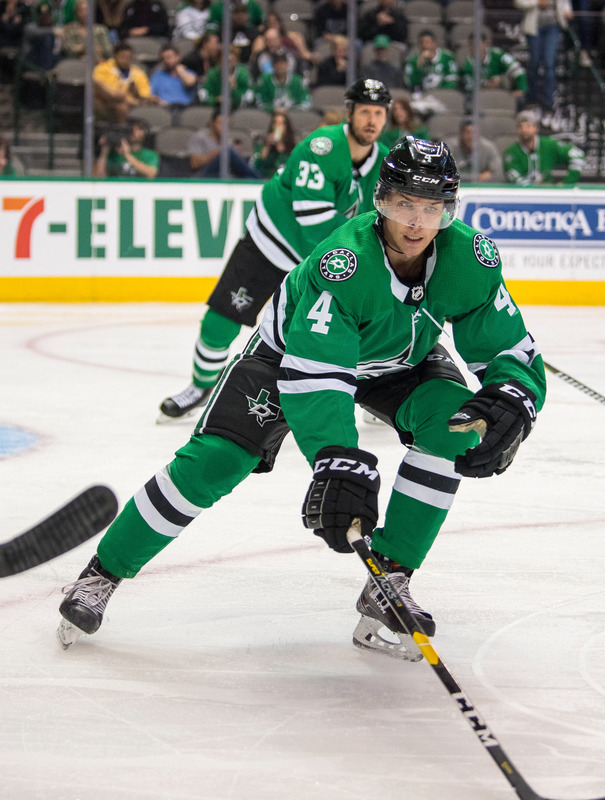 The 23-year old Dickinson is a tough case for Stars fans to watch. After being selected in the first round five years ago, the big center hasn’t been able to make almost any impact at the NHL level. In 38 career games, 27 of which came this season, he has just five points. Sure, Dickinson has been a good—but not outstanding—scorer at the AHL level, but at some point he’ll be expected to take the next step. That certainly hasn’t happened yet, though there were flashes of brilliance in his play at times last season. Now coming off his entry-level contract, Dickinson has earned a one-way deal and should get a good shot at locking down a full-time NHL role in training camp. He’s now waiver eligible, meaning the Stars can’t just send him down and hope he keeps developing in Texas. There’s no guarantee someone would pick him up, but he’s exactly the type of low-risk high-reward player a rebuilding club would be targeting near the end of camp. 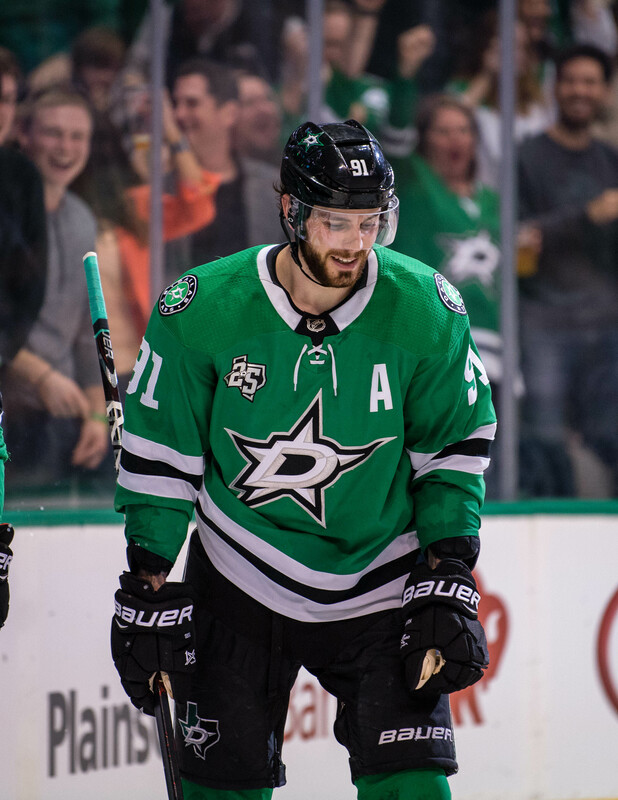 The question will be where he fits into the Dallas lineup, and whether he can produce enough of anything—defense or offense—to stick this time around. Dickinson will still be a restricted free agent when the deal expires, though his qualifying offer will only increase once again. The Colorado Avalanche have signed a college free agent, inking Josh Dickinson to a three-year entry-level contract that will begin in 2018-19. Dickinson will report to the San Antonio Rampage for the rest of this season on an amateur tryout. The younger brother of Stars prospect Jason Dickinson, Josh is coming to professional hockey after a very different path. While his brother was selected in the first round in 2013 from the Guelph Storm, the younger Dickinson maintained his college eligibility playing in the OJHL and after going undrafted spent this season at Clarkson University. He found a ton of success in the NCAA, scoring 26 points as a freshman and immediately earning a contract in professional hockey. Just the fact that Dickinson is leaving college after one year is surprising, but that he earned an entry-level contract right away means that the Avalanche saw something they really liked in the young forward. It’s not like his success has come out of nowhere, as Dickinson has been a leader at every level in his minor hockey career. He was even ranked 138th among North American skaters going into the 2016 draft, and will now try to make teams regret the day they decided to pass on him. The NHL is down to the last week of the season, with all games scheduled to be wrapped up by Sunday night. With that in mind, we’ll keep track of all the minor moves around the league and give context on how they could impact the playoff picture. Check back throughout the day to stay up to date on your favorite team. According to Mike Harrington of the Buffalo News, the Buffalo Sabres have recalled Matt Tennyson from the minor leagues to help replace the injured Victor Antipin. Antipin was knocked unconscious this weekend against the Nashville Predators, and won’t play again this season. Tennyson has played 14 games for the Sabres this season, though most of his work has come in the AHL. The 27-year old defenseman is still looking for his first NHL point of the season. Back and forth goes Oliver Kylington, who has been recalled once again by the Calgary Flames today. Kylington is still looking to get a chance at the NHL level, but the 20-year old defenseman has seen positive progression while in the minor leagues. Thatcher Demko is on his way back to the minor leagues, in time to help the Utica Comets with their playoff push. If the AHL playoffs started today, the Comets would have to dangerous Toronto Marlies in the first round, a matchup that would really test Demko and give him an opportunity to show he’s too good for the minor leagues. The Boston Bruins have recalled Colby Cave from the minor leagues under emergency conditions, bringing up the forward once again. Cave made his NHL debut earlier this year, and could get back into the lineup if one of the injured players for Boston can’t play. The Chicago Blackhawks have swapped goaltenders, recalling Jeff Glass from the minor leagues and sending Collin Delia back down. Delia had a very interesting debut, suiting up after Anton Forsberg was injured, only to suffer an injury himself and relinquish the net to emergency goaltender Scott Foster. Delia has played at three different professional levels already this season, impressive for an undrafted goaltender out of Merrimack College. The Dallas Stars have reassigned Jason Dickinson to the minor leagues, giving him back to the Texas Stars for their playoff run. Texas will welcome him back with open arms, as Dickinson has 16 goals in just 36 games this season.